My approach to sustainability is holistic. From concept to delivery, I'm trying to create systems that reduce consumption and minimize waste. Choosing our packaging materials has been a bit of a challenge for me since I'm trying to eliminate single-use plastic from my life. I've worked in fashion related jobs since I was 18 years old and I've witnessed incredible amounts of waste from the packaging and shipment of clothes. Polybags are single-use plastic bags that almost all clothing items are packaged in to ensure their safe delivery. The polybag acts as barrier against wear and tear in transit and keeps the garment fresh by sealing it off from the outside world. As Patagonia's Plastic Packaging study points out, eliminating the use polybags would lead to more garments being damaged and ultimately, resulting in both financial & environmental costs. In other words, it would be a waste of resources to create clothes that ended up damaged and/or unused. But the nature lover in me is resisting shipping any of our designs in polybags because I don't want my business to contribute to single-use plastic problem. Our oceans are drowning in plastic (see additional reading below) and our landfills are filled with plastic that won't decompose for another 500-1000 years. Gross. We ship our designs using plastic-free packaging. EcoEnclose offers packaging materials made from recycled content that are recyclable and biodegradable. There is going to be an exception - we will ship specialty fabrics like silk, chiffon, and wool using a polybag. Those fabrics are too delicate to risk being damaged or wet in transit. We will remind you to please recycle the polybag so the plastic doesn't end up in the ocean or landfill. Bodies come in all shapes and sizes. Part of my design philosophy is to create clothes that flatter as many bodies as possible, while still maintaining a sense of style and comfort. It's a challenge to create clothes that can flatter different body types when bodies have their curves in different places. That's one of the reasons why I developed my Girlfriend Tested™ design process. I want women with different shapes to help develop clothes that will highlight their form without being so fitted they're uncomfortable or self-conscious. Overall, we describe our fit as tailored yet relaxed. We want to emphasize that our fit is slightly off the body, so if you want your garment to be fitted we recommend sizing down. As we go into production, we're going to have our friends wear test all the garments to create an honest fit guide for every style. Sustainability | What is deadstock fabric? Deadstock fabric is simply leftover fabric. It's the extra fabric that textile mills create and/or don't sell. It's the remnants from larger design houses that don't get used. It's the fabric that was possibility made in error - wrong color, size, or quantity. We use deadstock fabric sourced from textile shops in and around Los Angeles. Using deadstock fabric is one way we are creating small batch and sustainable collections, but it does come with a few challenges I'd like to point out. Sourcing deadstock fabric is more time consuming and expensive. For instance, our Treanna Dress in Emerald is made from deadstock cotton Lyrca® leftover from a larger design house that we purchased from Mood Fabrics. There was only 5 yards of fabric left and we'll only be able to create about 5 dresses including our sample. We found more deadstock fabrics to create the Treanna Dress in black and ruby. It takes a lot of time to find the fabric to create a handful of dresses. From our experience, sourcing deadstock fabric is also more expensive. The textile wholesaler or middleman buys the fabric from a textile mill or design house and marks it up to make a profit. The extra time and special fabrics we find may take a little longer and cost a bit more, but it makes each piece a little more special knowing those pieces are very limited edition. 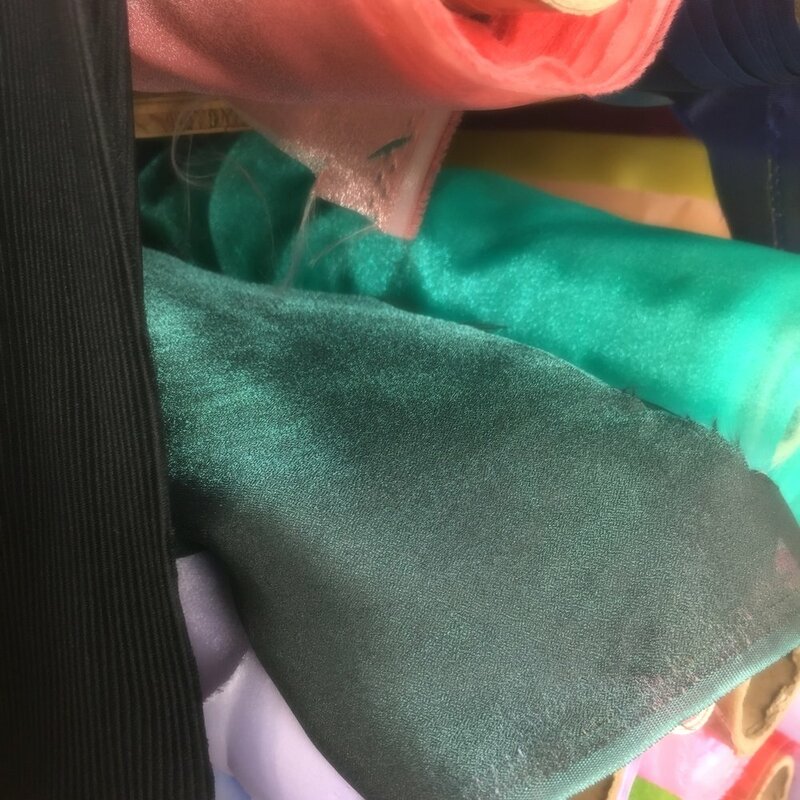 While I think using leftover fabric is a sustainable way to source fabric (especially as an emerging designer), I am cautious of green-washing our design process. I see a lot sustainable brands claiming that by using deadstock fabric they're saving the earth or rescuing leftover fabrics from the landfill. In truth, there has been a large secondary market for deadstock fabrics prior to sustainable brands using these leftover textiles. From costume and specialty designers to small batch and sustainable designers like myself, using deadstock fabric allows designers to create their designs without having to buy large quantities of fabric. Sourcing deadstock fabric is only one way we are working towards a sustainable design process. 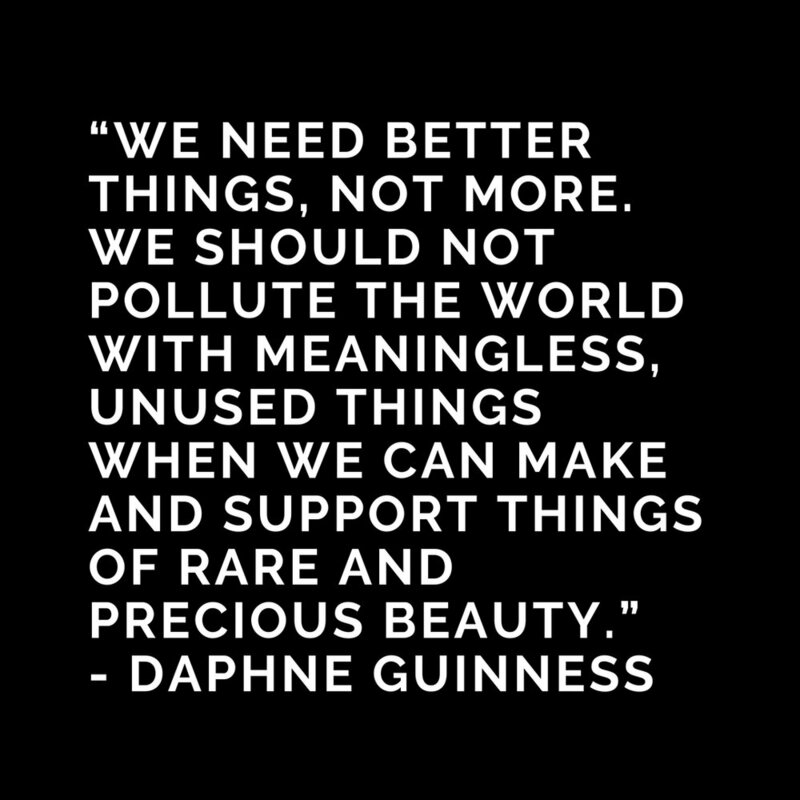 Click here to read about the other ways we're creating sustainable clothes. I fell in love with Joan Brown's painting Girl in Chair (1962) while wandering around LACMA one afternoon. After doing some research on Brown, I was captivated by her explorations into the self. For Brown, art was autobiographical. She created many self-portraits that documented her inner life on canvas. She termed these representations of the self - interior attitudes. In 1986, LA Times art critic Colin Gardner criticized Brown for her "self-righteous body of work" in his review of her exhibition From the Heart. He also criticized Frida Kahlo's paintings for having the same "self-righteous" qualities. These types of criticisms reveal a ugly double standard that values the self-righteousness of men while labeling works by women who explore same emotional complexities as self-absorption. And that's why I love Joan Brown. She had a hand in the elevation of female artists and the expression of their multifaceted experiences, feelings, and desires. So how do we get to point where we can stop asking: Why have there been no great women artists? Paint self-righteously ladies. Joan Mitchell holds a special place in my heart because she is both a talented artist and aggressive. I'm really fond of women who challenge our ideas about gender roles and prescribed rules of behavior. Women are often socialized to be passive while most men are encouraged to be aggressive. Women need to be more aggressive and vice versa. But I digress and Mitchell’s strong personality isn't the story here - it's her place in the canon of art history. The women of Abstract Expressionism have been the focus of recent scholarship and exhibition. 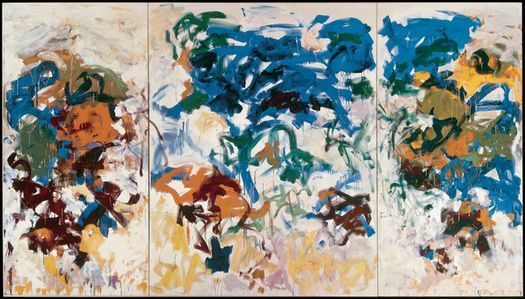 For instance, Women of Abstract Expressionism at the Denver Art Museum highlighted Joan Mitchell and fellow Abstract Exhibitionists by contextualizing their experiences and contributions into the larger story of art. I'm thankful for all the recent focus on Mitchell's work because I fell in love her bold, lyrical brushstrokes. All of our clothes are Girlfriend Tested™ to ensure fit, function, and price. Over the years I've had many friends ask me to make certain garments for them when I started my own line. My friend Angie asked me to make a sustainable and chic T-shirt (pre-order the Angie T-shirt), since her style is elevated causal. A couple friends have asked me to make a jumpsuit they can wear to work and on the weekends (Britini Jumpsuit - coming soon!). As part of the design process, I invited my friends to come preview all the pieces in the collection as works in progress. I welcomed their honest criticisms and suggestions on how to make each garment more wearable. The result is like a peer-reviewed stamp of approval on each garment. The Girlfriend Tested™ label ensures we've worked out the kinks on each garment. We've tested all the pockets to make sure they're deep enough to comfortably store your cell phone. Women with different body types, their curves in different places, have all had their recommendations included in the design of each garment. And when it comes to pants we've sampled them in every size and asked our friends to try them on to create an honest fit guide. One of the most valuable parts of the girlfriend previews has been the part where we talk prices. I shared our cost to design and produce each style here in Los Angeles and my friends responded with their recommended price. Sometimes it was hard to hear how low they wanted some garments to be priced at, especially when the cost to live and work in LA is so expensive, but I listened. Part of the challenge and opportunity for me it to clearly communicate the True Cost of ethical garment design and why the fast fashion prices we're used to are not sustainable (and a real waste of resources!). 1. Polls - Follow me @elliceruiz on Instagram and Twitter and look out for my design polls. I'll open up the design process to you to hear your suggestions on lengths, color, and fit. 2. Private previews - Sign up for our mailing list to be the first to receive invitations to our collection previews. You'll have an opportunity to share your feedback on future collections. 3. Comments - Share your feedback and/or desired design details in the comment section below each product listing. I take these comments to heart and will use them to improve and enhance each collection going forward. One of my friends described my design philosophy as empathetic. In other words, I design with women - their bodies and lifestyles - in mind. Due to my own experiences and struggles trying to find clothes that flatter my shape, my design team and I work really hard to make sure each garment is comfortable and functional. We focus on fit, function, quality, comfort, and garment care. Fit - Bodies come in all shapes and sizes. We are constantly questioning how each style will look on various body types. Overall, I would describe our fit as tailored yet slightly off the body. Function - All of our clothes are multifunctional and transitional, meaning they can be styled up or down for any occasion. My goal is to create clothes that you can wear to work, on the weekends, or on vacation. Quality - I try to incorporate design features that make the pieces I create durable and of the highest quality. We work with a female-owned, local manufacturer who is committed to our standards for quality and sustainable production. Comfort - I want to create clothes that you'll love to wear again and again. With that goal in mind, I design each garment to be wearable and think about what you'll be doing when you wear that particular piece. Garment Care - If you're like me, you're on the go. I want to make garment care easy and sustainable, so doing laundry doesn't take away from your creative practice or harm the environment. I try to make sustainable garment care easy and encourage cold-wash, line drying, and multiple wears as the foundation of an eco-friendly laundry routine. Fabrics are meticulously sourced for ease of wash and wear. 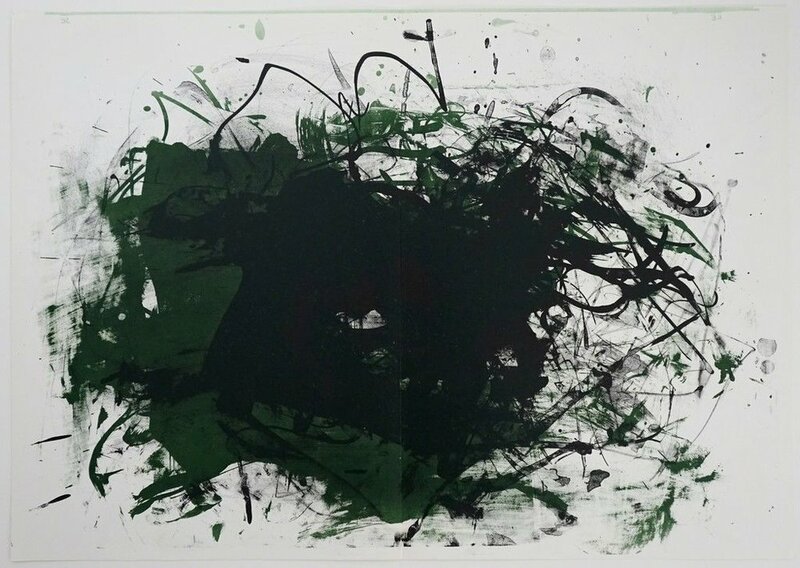 I'm really into Abstract Expressionism right now. One of my favorite paintings of all time is definitely Cy Twombly's Untitled (pictured above) from his Blackboards series. I'm attracted to his use of line and muted color palette. I find his work calming, a needed respite from the absurdity of our current time. Scholar Mary Jacobus examines Cy Twombly's paintings and drawings that include "handwritten words and phrases―naming or quoting poets ranging from Sappho, Homer, and Virgil" in her new book Reading Cy Twombly: Poetry in Paint. I love a good classical poetry reference. Chelsea Hodson writes for sentimental escape artists like myself. People who live in their dreams. People who think you are what you love. She writes the way I want to live my life, like poetry (concise yet vivid). Tonight I’m Someone Else is a collection of essays on topics ranging from the commodification of the female body to loving bad boys to living life through metaphor. Hodson writes, "I'm trying to remember all the times art saved me. Art can be so good that it consumes me." I've never related to anything more in my life. I'm going to be honest. Growing up I had real issues with perfectionism. I stressed myself out trying to eat perfect, have the perfect gpa, and do all the "right" things. Thankfully, I did learn how to set attainable goals. I'm still a bit of an over achiever but I think that might help me here. I have a grand vision for where I'd like to take this company and the only way I'm going to achieve that vision is by setting reasonable goals. I believe in action over perfection. Enter: My 80/20 rule of design. In a perfect world, every garment I design would be made from 100% organic fabric, made locally using renewable energy, and have zero impact on the environment. But I'm not there yet and neither is the garment industry. As I wrote my business plan, I laid out a roadmap for sustainability markers that I'd like to achieve as my business grows. About 80% of our design processes and manufacturing methods are directed towards sustainability, leaving plenty of room for improvement. I also apply this rule of design when balancing my collection. I try my hardest to create wearable and functional clothes for modern women. In truth, about 20% of the clothes I design are not work appropriate and serve a limited function. As an artist and art lover, I give myself a little room to create artsy statement pieces that you'll probably only wear for special occasions. This month is Plastic Free July - a month long initiative encouraging people to become more aware of their plastic use and reduce landfill waste. Los Angeles has made some commitments towards reducing single use plastic shopping bags and the City of Malibu just prohibited plastic straws, but there are truly so many plastic items we can avoid or replace with reusable alternatives. Please consider investing in reusable produce bags and a glass or stainless steel water bottle. I always think of this quote when I'm designing. My goal is to make clothes of rare and precious beauty. I want to make clothes that you'll cherish and love. Most importantly, I'm trying to make clothes that you'll wear again and again. I discovered Keith Edmier's work on INSTAGRAM, lol. Since I'm fond of research, I'll share what I discovered and leave you with links for additional reading. Edmier's work is highly conceptual as most Contemporary art is. Meaning: the idea behind the artwork is considered more important than the work itself. 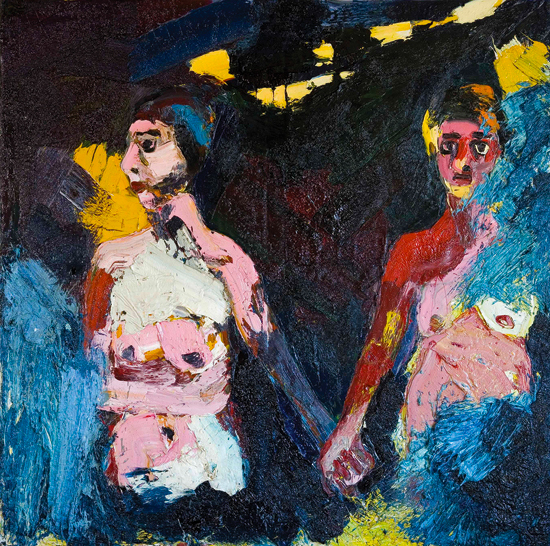 The viewer needs additional information about the artwork and/or artist to fully understand or appreciate the artist's intention. The artist requires the viewer to know all these references to fully appreciate the meaning of the artwork. 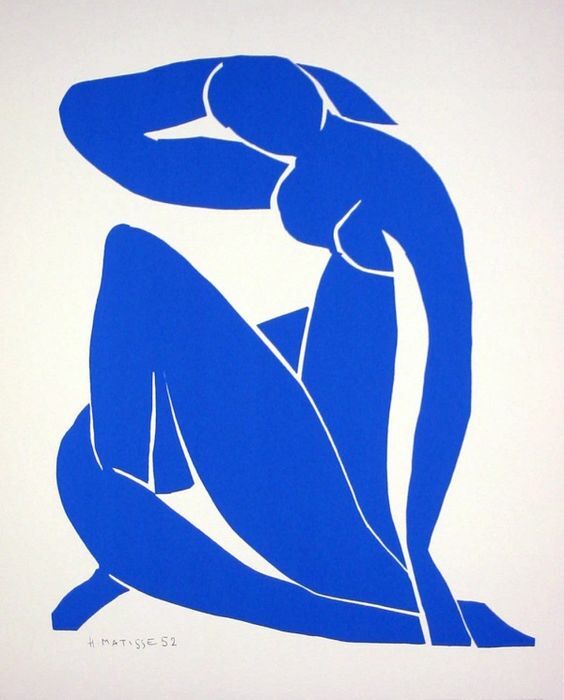 In Edmier's case, I think his work is aesthetically beautiful on it's own but I do like the challenge of uncovering the depths of his references. Keith Edmier, Two Hummingbirds with a Pink Orchid, c.1875-90 (Lc. Michelle Obama Ctrianaei x Lc Mini Purple), 2015, Dental acrylic and acrylic paint on Tennessee marble base. I think it's the art lover in me that enjoys an interesting composition of words. But it's the curiosity in me that loves discovering new authors, new genres, and new voices. My book club is an opportunity for me to share what I'm reading and to hear your recommendations. I'm into all genres but I really love poetry, fiction, and criticism. Use the hashtag #ERBookClub to join the conversation on social media and share what you've been reading! Welcome to Looking at Art! While studying fashion design at FIDM, I was introduced to one of my main passions in life - art history. I wasn't ready to commit myself to fashion back then, so I switched lanes and went on to study art history at Pepperdine University. I've always had a very intimate and personal relationship with art. Through art I've gained an appreciation for other cultures. I've learned about history through the artifacts left behind. I've stood in awe as I've sought to understand the meaning of a particular work of art. My series Looking at Art is passion project for me to share my love of art and art history, especially through a female point of view. I love to talk about art. Please join the conversation and share your favorite artists, works of art, and movements!